Over the last decade, our understanding of GPCR structure and function has been challenged by the discovery that these receptors are able to form homo-and hetero-oligomers with other proteins, which have the capacity to affect several aspects of their function, including trafficking, cell surface expression, and receptor pharmacology [19, 67]. Each protein interacting with a receptor, which modifies its function, can be considered as an allosteric modulator. As mentioned earlier, the classic example of this phenomenon is the interaction of the G protein itself with a receptor. Importantly, there is an ever-growing list of "accessory proteins" that have been shown to interact with GPCRs and modulate their binding and/or functional properties. Perhaps the key exemplar model of a GPCR-protein interaction that has a profound influence on receptor phenotype is that of the receptor activity modifying proteins (RAMPs), a family of three, single-pass, TM proteins (RAMP1, RAMP2, and RAMP3) . Hetero-oligomerization of the calcito-nin-like receptor (CLR) with RAMPs is required for the cell surface expression of this GPCR and also dictates its pharmacology . The sensitivity of the CLR to the peptide agonists, CGRP, or adrenomedullins varies accordingly with its association with either RAMP1 or RAMPs 2 or 3, respectively. It is likely that the differences in ligand binding affinity at the CLR can, at least partially, be attributed to allosteric regulation of the receptor by RAMPs . Thus, RAMPs may induce conformational changes in the CLR that alter its specificity to form either a CGRP or adrenomedullin receptor. Furthermore, in addition to their association with the CLR, RAMPs can modulate the pharmacology of the closely related calcitonin receptor (CTR), engendering high affinity amylin receptors that each have distinct agonist and antagonist pharmacology depending upon which RAMP is present [70, 71]. RAMPs also interact with, and modulate the function of, other Family B GPCRs, including those receptors for vasoactive intestinal peptide/pituitary adenylate cyclase-activating peptide (VPAC). Family B GPCRs couple predominantly through Gas to induce the downstream formation of cAMP, but can also couple to other G proteins at higher agonist concentrations. Coexpression of RAMP2 with the VPAC1R causes a specific augmentation of IP3 production, presumably downstream of Gaq, without affecting cAMP responses . As agonist potency was not altered, it has been speculated that this may be due to compartmentaliza-tion of the RAMP2/VPAC1R complex to a Gq -enriched microenvironment. The ability of RAMPs to modulate both ligand selectivity, as in the case of the CLR/CTR, and G protein coupling profiles, suggests these proteins have important allosteric roles in regulating GPCR function. Furthermore, consid ering RAMPs only exhibit 30% sequence identity, the accessory proteins themselves may provide a basis for selective drugs, especially when the interaction surface between the RAMP and the respective GPCR(s) is also taken into account. Development of screening assays that measure RAMP/GPCR interaction could lead to discovery and development of a novel family of drugs that act as allosteric regulators of GPCRs through RAMPs . There are numerous other examples of accessory and scaffolding proteins that interact with GPCRs to influence expression, membrane localization, or perturb the intracellular signaling events arising from GPCR activation. For example, it is well-known that regulators of G protein signaling (RGS) proteins affect GPCR/G protein coupling  . Interactions with accessory proteins that result in GPCR organization into membrane microdomains, such as the caveolins, can direct GPCR/G protein coupling to those G proteins colo-calized within the same microdomain. As a result, agonists that have a higher affinity for that particular GPCR/G protein-coupled state may display increased efficacy. Many GPCRs are known to directly interact with proteins, such as arrestins and PDZ domain-containing proteins, which result in the activation of intracellular signaling cascades that are distinct from those arising from G protein coupling. In this respect, the GPCR-protein interaction modulates ligand efficacy, and there are many instances of ligands that have efficacy for these alternate signaling cascades and no efficacy for classical G proteinmediated signaling [75-78]. In addition to interactions with accessory and scaffolding proteins, GPCRs are also known to form homo- and hetero- oligomers with each other, the existence of which are likely to influence the affinity and/or efficacy of both orthosteric and allosteric ligands . However, relatively few studies have investigated experimentally whether cooperative binding/allosteric modulation occurs across such a complex. Allosteric modulation between receptor partners in a complex has been shown spectroscopically using the leukotriene 1B receptor, where the binding of a ligand to one member of the homodimer resulted in the conformational change in the other receptor . With respect to the heterodimeric gamma-amino butyric acid (GABA) B receptor or some of the taste receptor complexes, orthosteric ligand binding has been shown to occur on one receptor partner, while allosteric modulators bind the other member of the heterodimer [81, 82] . 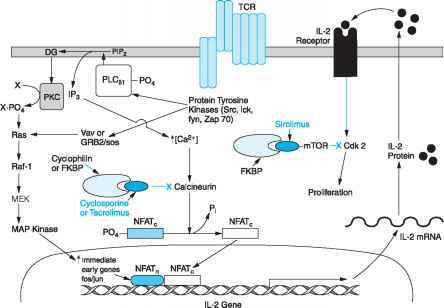 Further studies exploring this phenomenon utilized chimeras between the thyrotropin receptor (TSHR) and the lutropin receptor (LTR) . When expressed separately, the receptors displayed a specific type of pharmacology, that is, the TSH receptor bound TSH but not human chorionic gonadotropin (hCG; a ligand of the lutropin receptor), whereas the LTR bound specifically hCG but not TSH. However, when the LTR and the TSH receptors were coexpressed, hCG was able to compete for radiolabeled TSH. The allosteric nature of the heterologous competition was confirmed with kinetic dissociation experiments that suggested binding of hCG to the LTR induced a conformational change in both units of the het-erodimer that resulted in the release of 125I - TSH from the TSH receptor  . A rapid dissociation of prebound radiolabeled TSH upon addition of unla-belled TSH was also monitored on cells expressing only the TSHR that suggested negative binding cooperativity applies to receptor homodimers as well. The presence of two binding sites with different affinities was confirmed by saturation binding assays using radiolabeled TSH, which identified a low-affinity binding site in addition to the classical high-affinity site . Experiments on the TSH receptor in a native cellular background also confirmed the presence of two binding sites acting allosterically, in which one site expressed a negative binding cooperativity for the other . Using a similar approach, strong negative binding cooperativity has also been identified in homo- and heterodimers of the chemokine receptors (CCR) CCR2 and CCR5 . CCR5-specific ligands, unable to compete for the binding of CCR2-specific ligands on cells expressing CCR2 alone, efficiently prevented binding when the two receptors were coexpressed. This effect was repeated with CCR2 selective ligands modulating the binding of CCR5 specific ligands, but only when both receptors were expressed. Similar coexpres-sion studies with an array of Family A GPCRs, including the ^ and 8 opioid receptors or the orexin1 and cannabinoid CB1 receptors, have shown that coexpression results in altered ligand pharmacology [85, 86]. The molecular mechanisms underlying allosteric modulation of binding sites within receptor dimers are not known, but are likely to involve structural rearrangement of both receptor units. This has been shown with the dopamine D2 receptor in which the contact interface between dimers alters with the activation state of the receptor . However, full activation of a receptor is not mandatory for allosteric modulation, since negative binding cooperativity is also observed with antagonists  . The existence of binding cooperativity between GPCRs in a complex raises the question of the stoichiometry of ligand binding. For receptors displaying a strong negative binding cooperativity, only a single ligand is expected to bind to a dimmer . However, in other receptors such as the mGluR, the complex may bind two ligands simultaneously . More recently, experiments have also indicated that the binding cooperativity in the vasopressin V1a receptor dimer could be either positive or negative, depending on the ligand studied . Although intriguing, the increasing wealth of data describing cooperativ-ity in the binding of ligands to GPCRs highlights the fact that the properties of dimers will differ according to the receptor studied, the ligand investigated, and possibly other factors such as interactions with other proteins in the signaling complex such as RAMPs.